Curious about the impact of transit on development and neighborhood opportunities? You will find excellent resources from national experts at the Center for Transit Oriented Development at their website www.reconnectingAmerica.org. Making the Case for Mixed-Income TOD in Denver (courtesy of Enterprise Community Foundation). For a neighborhood specific perspective on TOD, the West Colfax Partnership commissioned Van Meter Pollach to prepare the West Colfax Neighborhood TOD Plan in order to develop bulk plane, zoning and other recommendations that will promote TOD near Westline station stops (large format/available on request from BID). 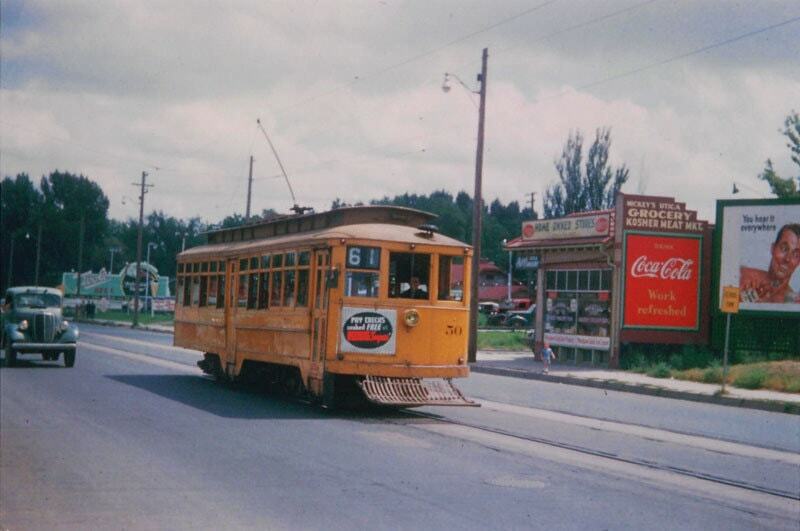 From Streetcars to Light Rail on West Colfax—West Colfax was originally connected to central Denver by streetcar–the viaduct came later in the early 1900’s. That is how people traveled to Elitches on Sloans Lake, for example. The new light rail re-establishes this important connection and the ease of commuting from West Colfax. The image below was taken in 1947 in front of 4500 W Colfax. As Colfax is set to transform its transformation with enhanced bus service and pedestrian access, Denverite’s featured the avenue in Colfax Week, a series about the avenue that defines Denver.